Visionary Aerials is always excited to work on projects exploring the human potential. 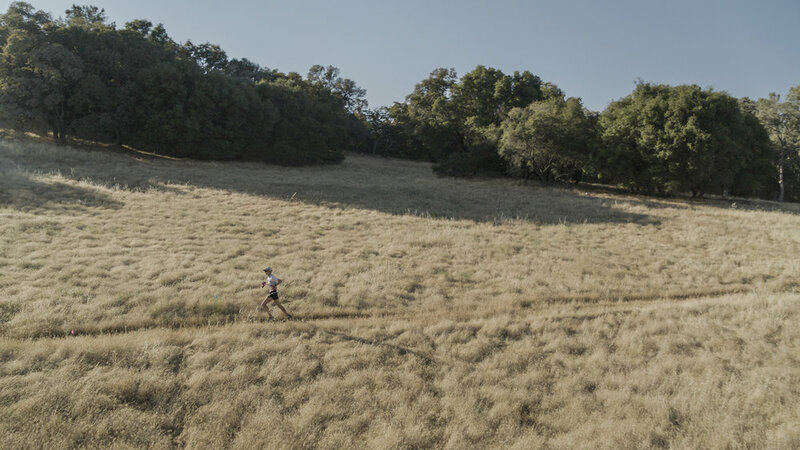 So when we had the chance to team up with German production company Aestivation Entertainment to document ultra runner Florian Neuschwander's attempt at the Western States 100 we were beyond excited. 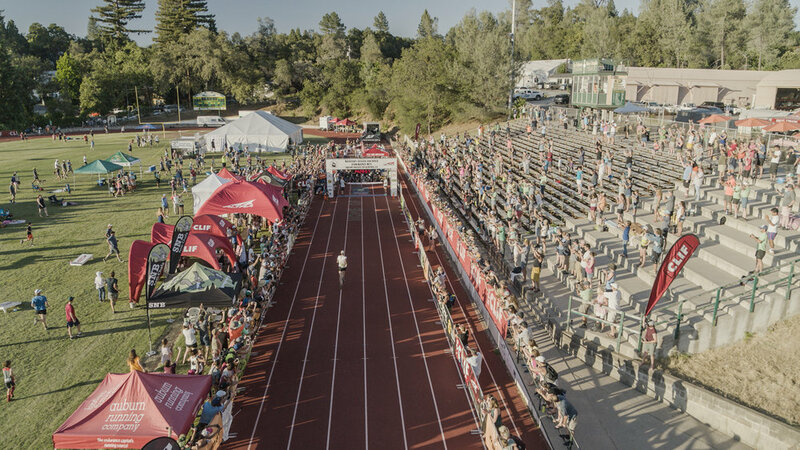 The Western States 100 is the worlds oldest 100 mile trail race starting in Squaw Valley and ending in Auburn, California. Runners face high mountain passes and deep canyons through the heart of California's gold country. The goal is 100 miles in one day, a truly grueling endeavor. Originally the 100 mile stretch of the Western States trail was run by horses in a race known as the Tevis Cup but in 1974 Gordy Ainsleigh decided to attempt that same run on foot. His initial time was twenty-three hours and forty minutes. Years later we follow a new generation of ultra runner. Florian Neuschwander is a dad and runner from Germany. He is a mild mannered and likable small gentleman with a great mustache not to mention ultra long distance running skills. This would be his first 100 mile race. A daunting task for any ultra runner. Flo as he is known for short seemed ready and confident as the race day approached. The documentary team along with Visionary Aerials followed Flow as he prepared for the race and scouted the course. The beauty and scale of the course is only really appreciable when you try to access its remote corners that take hours driving on dirt roads, through canyons and thick forests. 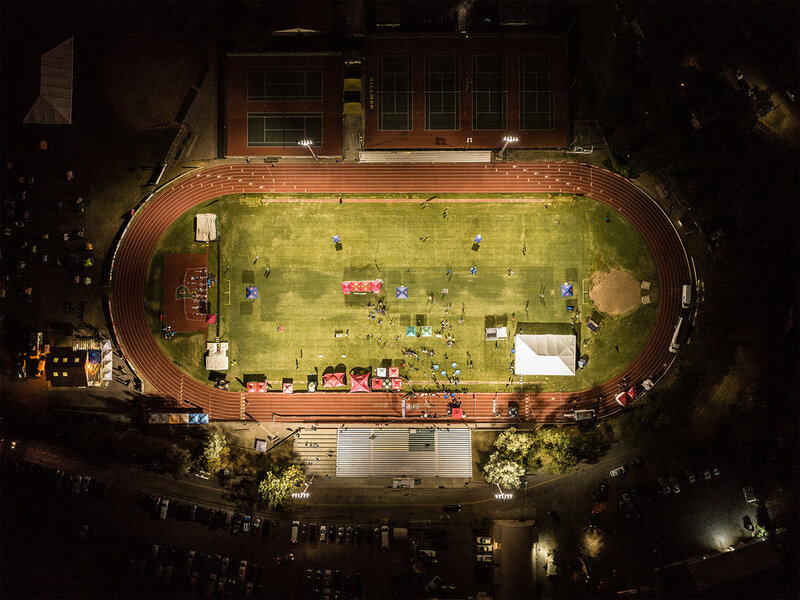 Below is an aerial visual summary of some of the magic moments captured by Visionary Aerials in June of 2018 at the Western States 100. Runners crest the top of the escarpment at Squaw Valley just after sunrise. They have completed 3 of 100 miles. Squaw Valley, California. Runners are greeted by supporters at the escarpment; top of Squaw Valley. Mile 3. Squaw Valley, California. Runners heading off into the back country. Mile 6. Squaw Valley area, California. Florian Neuschwander approaching Michigan Bluffs at mile 55 after climbing out of the Canyons. Michigan Bluffs, California. Jim Walmsley crosses the American River at the Rocky Chucky aid station mile 78. Near Auburn California. The race leader Jim Walmsley cruises into an aid station at Pointed Rocks at mile 94. Near Auburn, California. Jim Walmsley heads towards a record finish of the Western States 100 with a time of 14:30:04. Auburn, California. Pictured above the race leader Jim Walmsley heads in for a record finish with the time 14:30:04. Most racers will finish in the dark or early hours of the next day. Florian Neuschwander crosses through the aid station at No Hands Bridge. Mile 96.8. Near Auburn, California. RedBull athlete and subject of our documentary Florian Neuschwander finished in the dark with a commendable time of 20:22:04. Although slower than he had hoped, it was nonetheless his first 100 mile race and outside of his normal area of training. Western States 100 finish after dark at Placer High School. Auburn, California. We look forward to sharing the finished story with you soon. Check back soon for the RedBull documentary. A special thanks to Dean Leslie for being our field producer and location specialist without whom our production would not have been possible.